Seacoast is offering consumer loans with low introductory rates. There are no loan fees though other customary costs (FL Doc Stamps) will be charged to the borrower and deducted from loan proceeds. Repayment will be based on the amount and term discussed with your Seacoast banker. We are offering up to $25,000 no interest loans for 90 days, which then converts to principal and interest payments based on the prevailing rates for up to 60 months. $250 Doc Prep Fee plus closing costs will be charged to the borrower and deducted from loan proceeds. 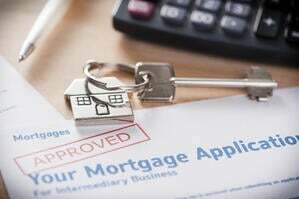 Loan requests may be greater than $25,000, and the first $25,000 will still benefit from no interest for the first 90 days. Repayment will be based on the amount and term discussed with your Seacoast banker. Non-revolving Line of Credit of up to $250,000 or an amount based on detailed listing of damages and repair costs. Monthly interest only payments for 12 months, followed by monthly principal and interest payments based on 5 year amortization. No fee will be charged. Restrictions may apply.